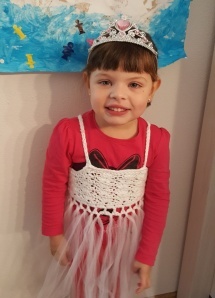 My little girls was looking so pretty dressing as a princess, with her crochet/tutu dress, new shoes and crown. 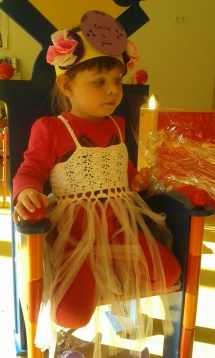 She does not dress like this very often, she is more like the kind of tough girl, playing with cars and figures, but today she was totally in girly mood. Well, it’s not like she is not into dresses or something, it’s just like today, she was just absolutely beautiful. 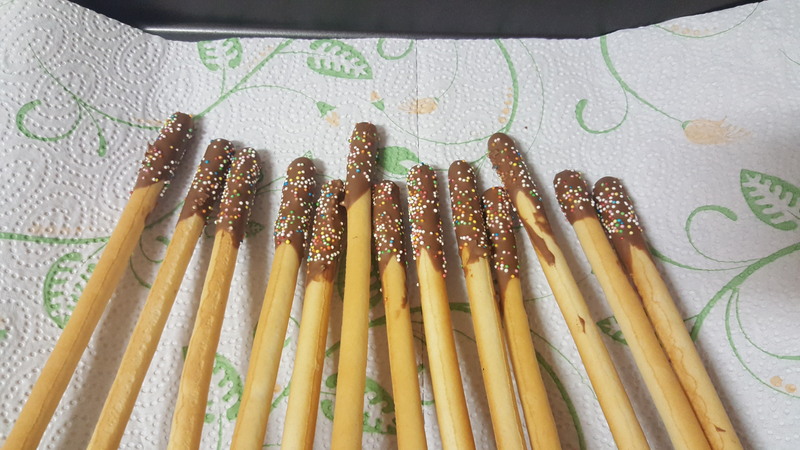 For the party favors, I have bought bread sticks and dipped them with sweet chocolate, I decorated them with colorful sprinkles and a string that connects the Goodbye message. 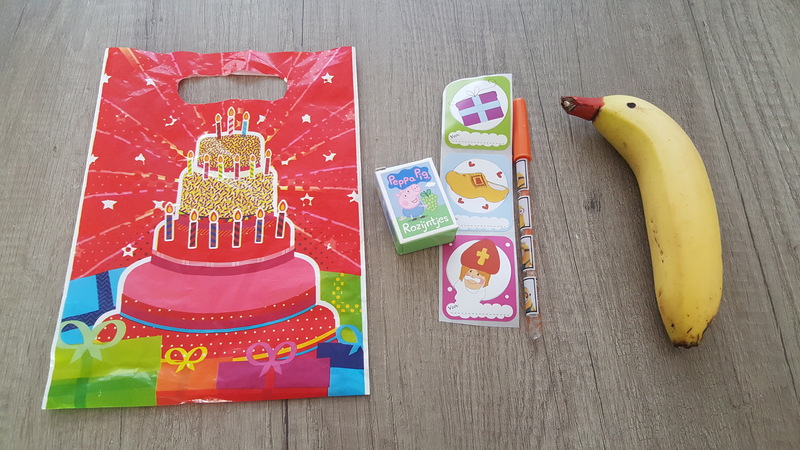 I have filled each party bag with a color gel pen, a small box of Pepa Pig raisins, stickers of Sinterklaas and a banana, that I have colored the cut stalk on orange to make it look like a duck, but to be honest, it looked more like a dolphin, you can judge yourselves on the photos below, haha. For the teachers (juffen in dutch), I made a nice wood basket filled with instant drinks, like Cup a Soup, hot chocolate, Amaretto coffee, seasonal teas and chocolate bars. 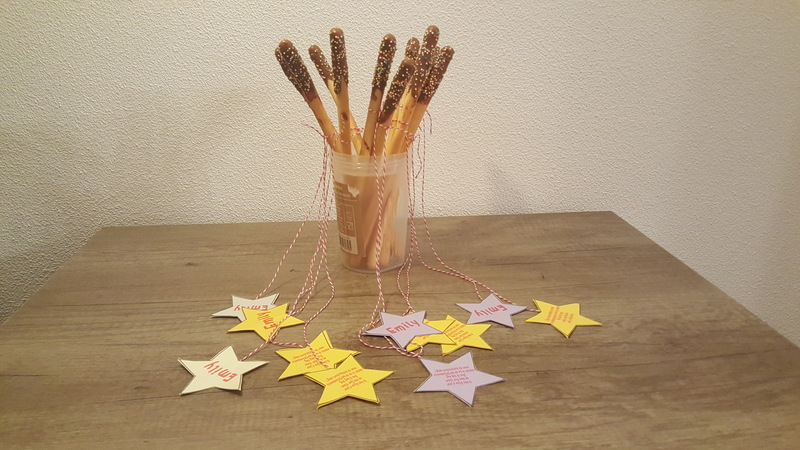 Besides this, I decorated it with some stars confetti made with a paper punch. I wrapped it up with transparent cellophane and a pink bow. It looked so nice that I was proud of myself for making this. 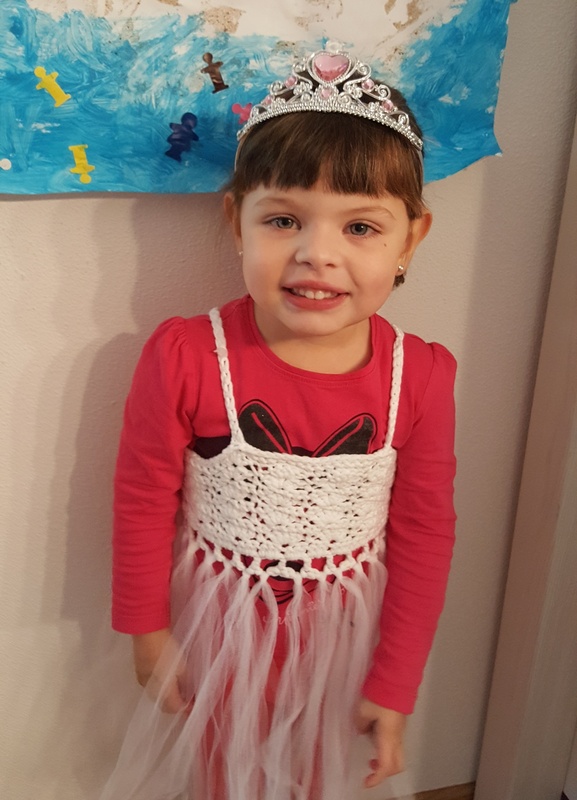 This time we were not with them at the time of the treats like last week in the Preschool, today we just dropped the kids there and explained to the teacher about the party favors. 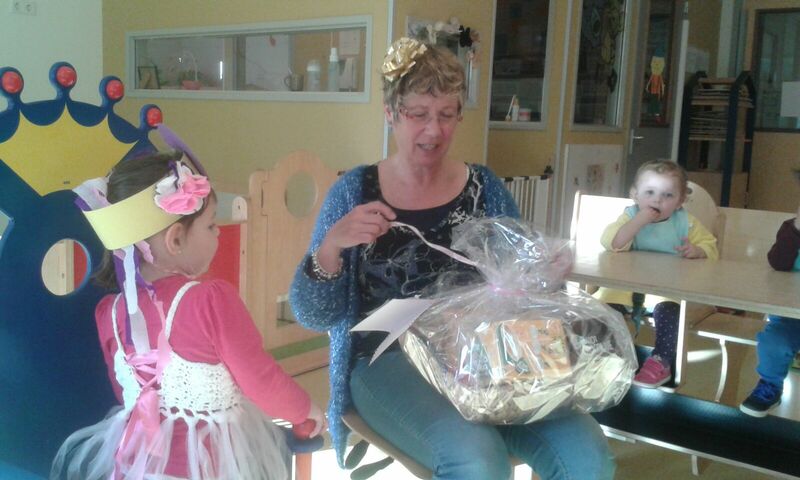 The teacher that was there at that time was very grateful and happy to get the little present for them. That made me feel so good as well. After school time when we went to pick the kids up, we were told that they had a great time together sharing the treats and singing some songs.